Seneca has been put forward to report before Apollo by Hermes. The two discuss the cases he is investigating, and, during this, Apollo explains the One God, the Trinity, to Seneca. After this debriefing, Seneca is witness to another murder with grave consequences and bizarre implications. Hermes then sends Seneca to seek insight from the enigmatic Fates. 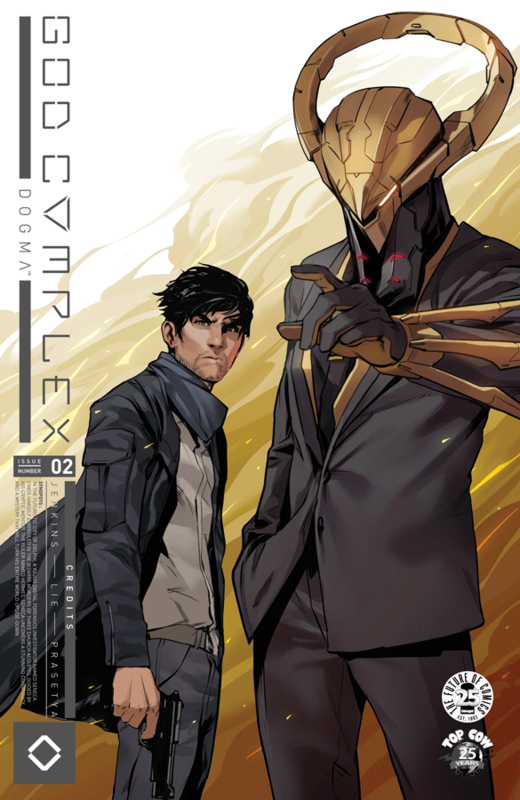 A mixture of Blade Runner, Matrix, and a dash of Kieron Gillen and Jamie McKelvie’s The Wicked + The Divine, God Complex offers a technopunk mystery of murder and corporate computer gods. Seneca feels very much like Harrison Ford’s Deckard, a professional who is good at his job but finds himself incredibly out of his depth. As such, there is a strong influence of noir which is more visually referenced in scenes of Seneca musing to himself while walking through rainy city streets. And it all works for the most part. The opening to the book provides a fairly dense exposition dump as Apollo explains who or what the Trinity is to Seneca. It goes on a bit long, but it is mostly intriguing. You are left wanting to get to see this Trinity and learn of what it’s capable. From a more thematic standpoint, I dig the reference to the Christian God alongside these corporate overlords named after the Greek Pantheon. It’s a fun mix-and-match of mythologies. That being said, the references don’t seem go deeper than names. The city is Delphi, Apollo and Hermes are two of the rulers, and the Fates are a supercomputer which use data to predict possible futures and provide guidance. If they have capabilities relevant to their god-names, then it’s not shown in this issue beyond personality traits (which are hard to get a bead on in Greek mythology anyway). The plot seems to get away from the comic midway through. References to factions not particularly well-established begin to crop up, and you’re left with a dramatic surprise ending with little reference for what it actually means for Seneca and the story. I’m not entirely sure what Hermes, Apollo, and the others do for the city. We know they’re corporate overlords, but there’s not much more given than that as of yet. Hendry Prasetya’s artwork is quite good. The characters are expressive, the overall aesthetic reinforces the noir technopunk atmosphere, and the design of the gods is pretty cool. I like the bizarre helmet designs being juxtaposed with the reserved suit-and-tie clothing. It gives this air of both otherworldly and quaint simultaneously. Jessica Kholinne’s colorwork is dynamic and striking as well. 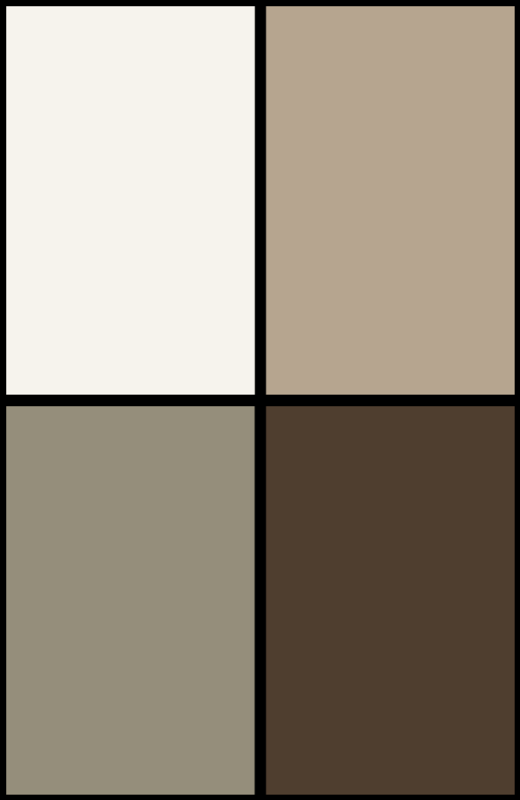 It doesn’t rely too much on the noir and technopunk aesthetics, instead providing a brighter palette than those two genres generally warrant. As such, the world of God Complex is allowed more of its own visual identity than it would otherwise. Paul Jenkins creates continues an intriguing narrative with God Complex #2. While the story can lag in places and gets a little off the rails towards the end, it is still an overall good read, and I can easily recommend it. God Complex is a creative send-off to the likes of Blade Runner and The Matrix, and you should certainly give it a try.